The German writer Hans Magnus Enzensberger´s 1985 travelogue „Hungarian Confusions” is essentially a snapshot of „goulash communism” in decline. 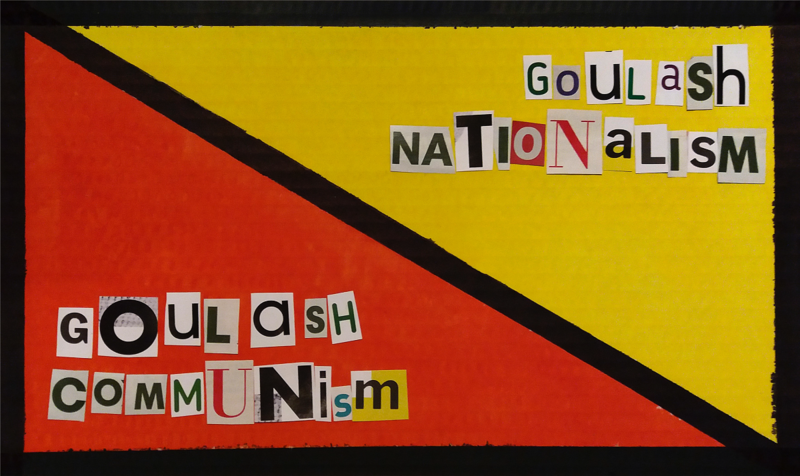 Thirty-three years later, in 2018, the Neue Züricher Zeitung describes the current situation in Hungary as „goulash nationalism”. How realistic is this analogy? What exactly does this „goulash mentality" mean? How can we show this parallel through the contradiction between the reality of everyday life and the fiction of the prevailing ideology? What artistic strategies are available for making this complex juxtaposition of ideas visible? We use Enzensberger's essay as an optical tool that works as a microscope and as a telescope at the same time.